Bring out the festive decorations ready for Santa’s visit! Build this cozy living room scene and hang the wreath and stockings above the fireplace. Decorate the Christmas tree and place the milk and cookies on the table next to the comfy armchair. Then wait with the cat for Santa to arrive! 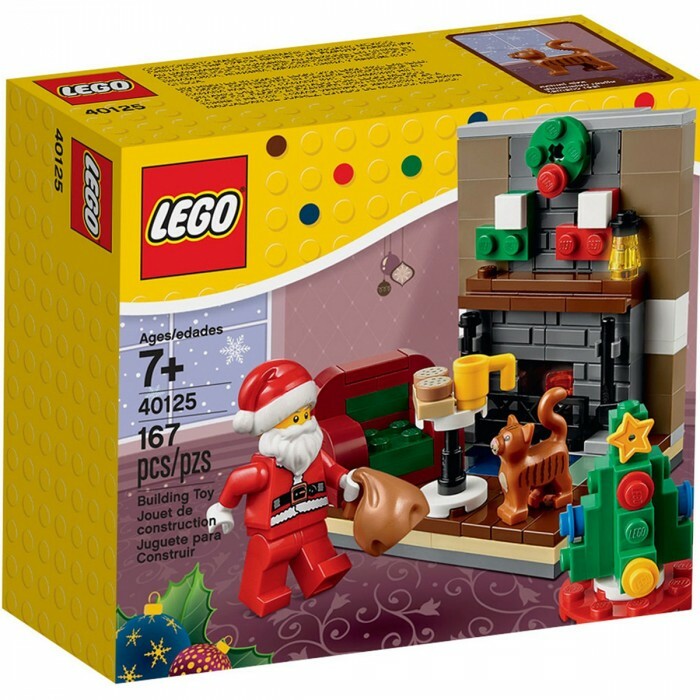 Includes a Santa minifigure with an accessory. 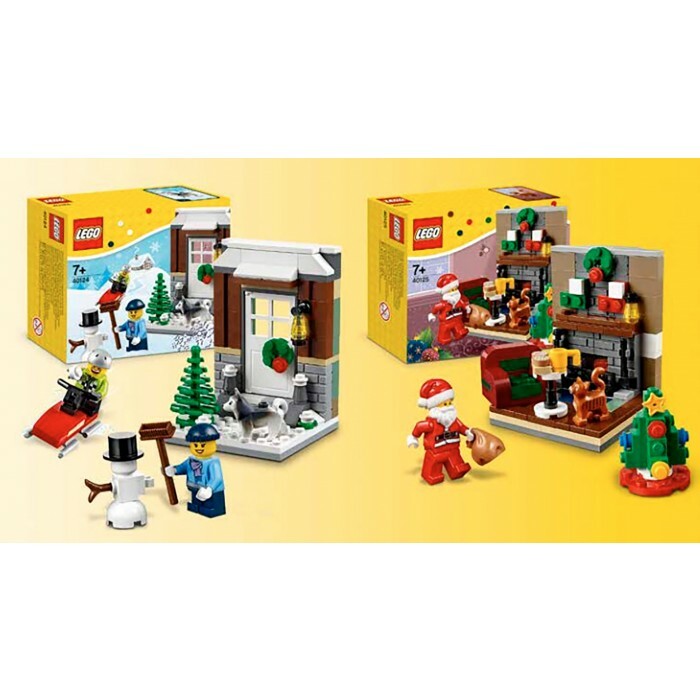 Step outside for Winter Fun in the snow with this ice-cool LEGO® set! 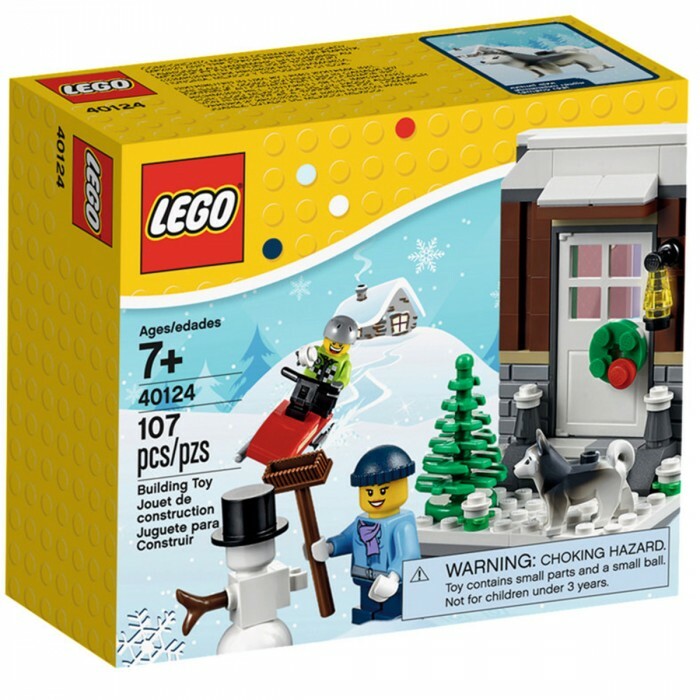 Build the snow-capped doorway scene complete with festive wreath, lantern and fir tree. Take the husky dog for a walk and build the snowman. Then swoop down on the snow scooter and start a snowball fight! Includes 2 minifigures with assorted accessory elements: a male and a female.